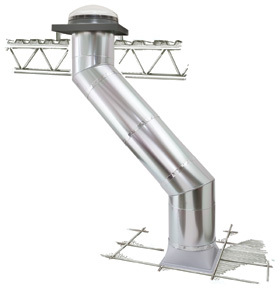 The TCR model is suited for commercial drop ceiling, long shaft applications and building interior areas. Providing optimal transmission and distribution of light in commercial spaces, the TCR model also offers a prismatic diffuser and an optional daylight controller. Installation is quick and easy. This is the most cost effective way to light interior commercial spaces. 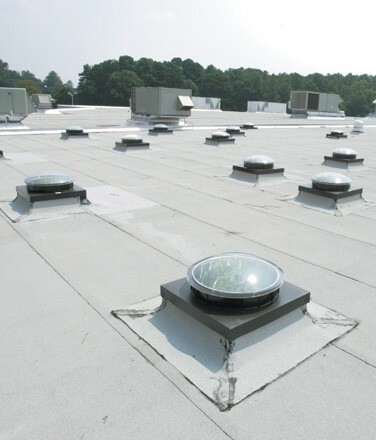 For added peace of mind, SUN TUNNEL skylights come with a 10-year warranty against manufacturer's defect. See VELUX warranty brochure for complete details. 22" curb commercial kit. 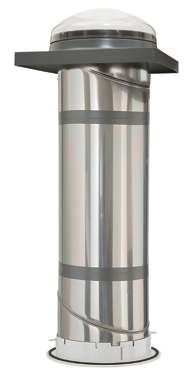 A highly reflective rigid tunnel provides the brightest light - a low or flat profile flashing blends well with the roof line. 14" curb mount kit uses a proven leak proof installation method for flat roof applications.